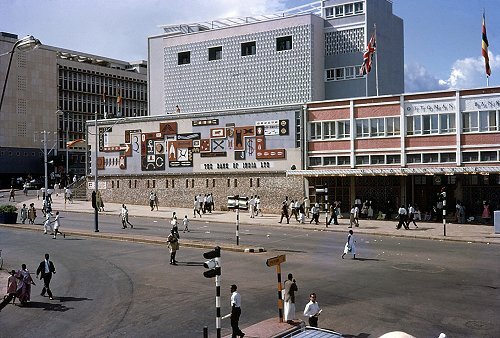 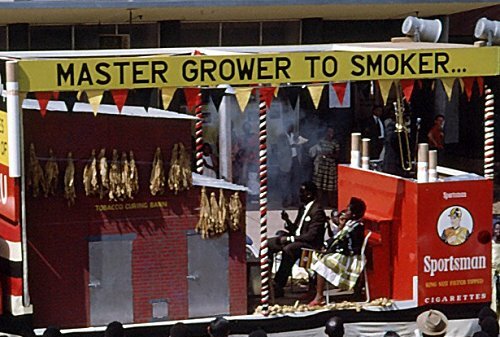 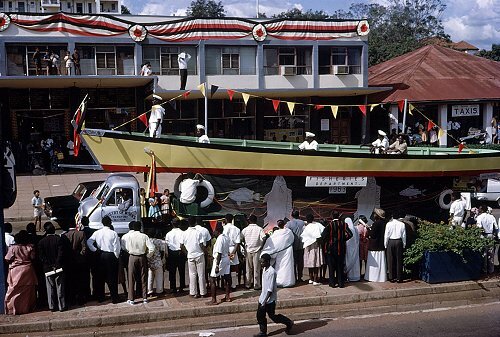 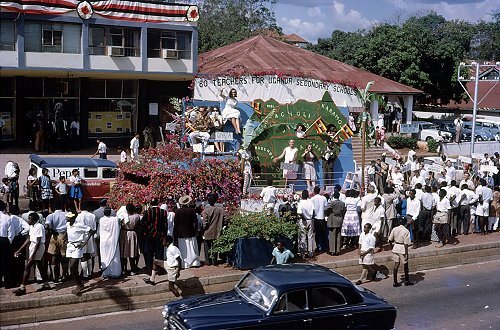 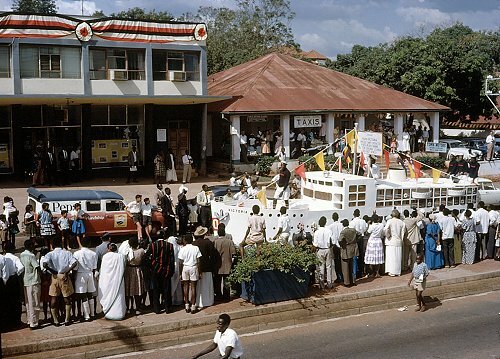 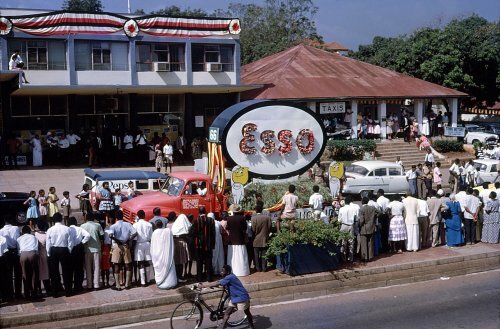 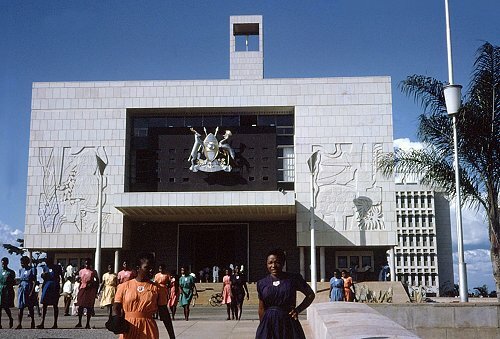 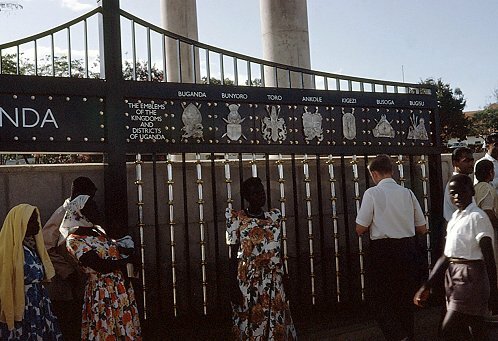 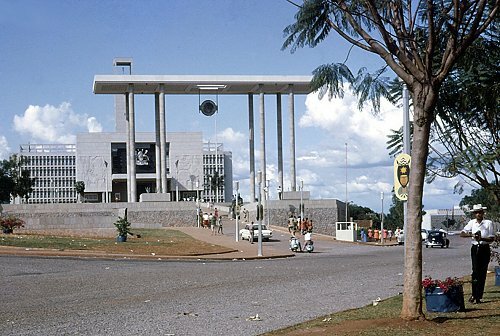 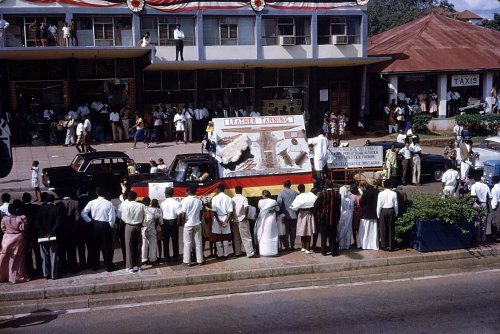 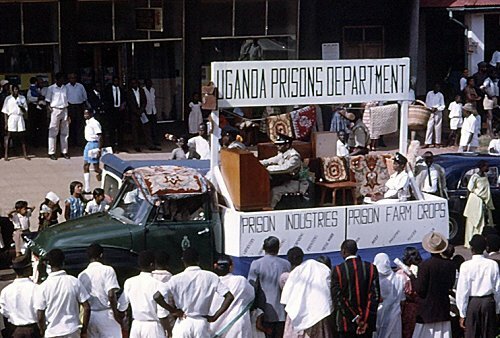 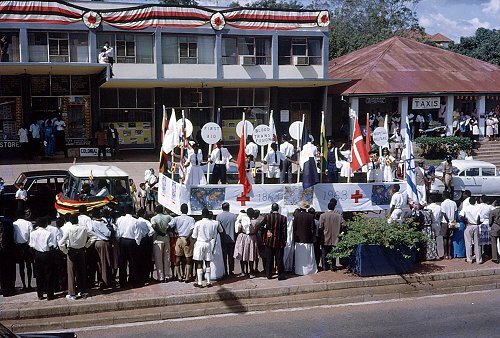 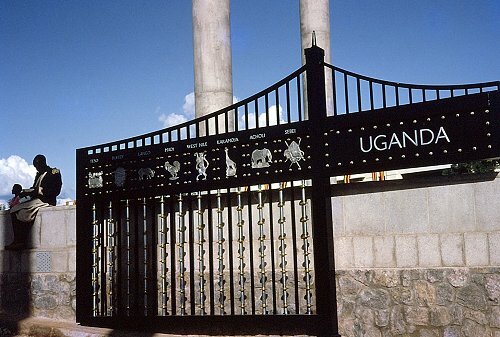 Kampala, 9 October 1963, the first anniversary of Uganda's Independence. 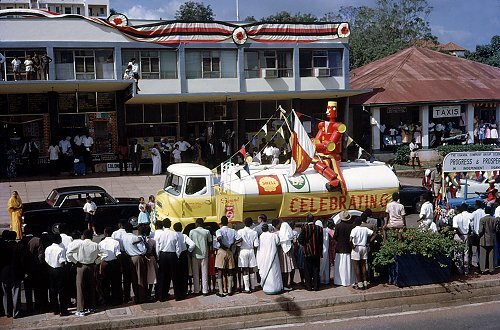 Among the series of floats to pass along Kampala Road as they processed through the city were these two with transport supplied by the Ministry of Works Transport Department. 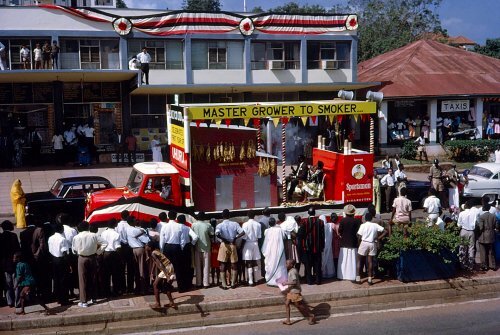 Some subtle changes are apparent: the older low level transporter (above) is till in the original silver and green Ministry colours, but the articulated truck (left) is in all-green. 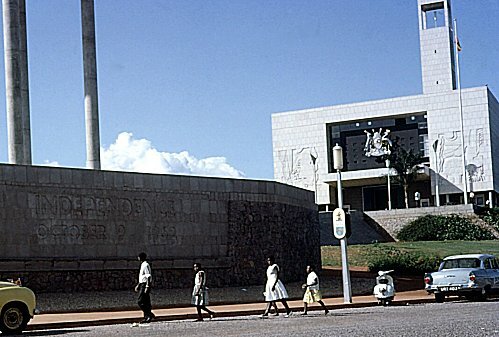 Also the policemen just visible by the white sedan no longer wears a bush jacket but a shirt.